Originally from Japan, Disney presents their iconic characters in adorable, stackable toys called Tsum Tsums! Enjoy your favorite characters with different textures like fuzzy plush or smooth, detailed vinyl. Each Tsum Tsum features a wide range of Disney and now Marvel characters! This 3-pack features all different sizes of your favorite super heroes in vinyl form. Collect them all and create an adorable stack of fun with the Disney Tsum Tsum Figure Packs! Ages 6 and up. 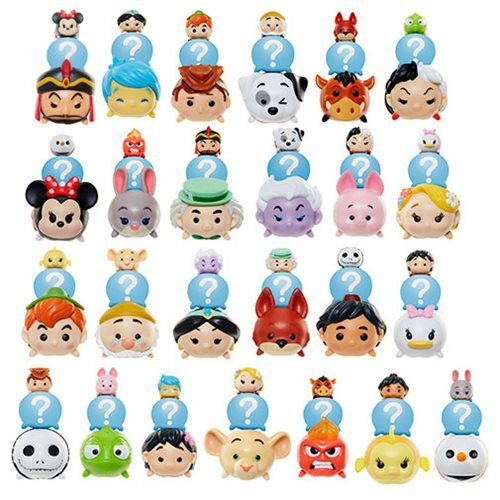 The Disney Tsum Tsum 3-Pack Mini-Figures Wave 4 Case includes 24 individually packaged packs.